A great day, a banner day, literally, placing the Seven Summits flag on Kosciusko. 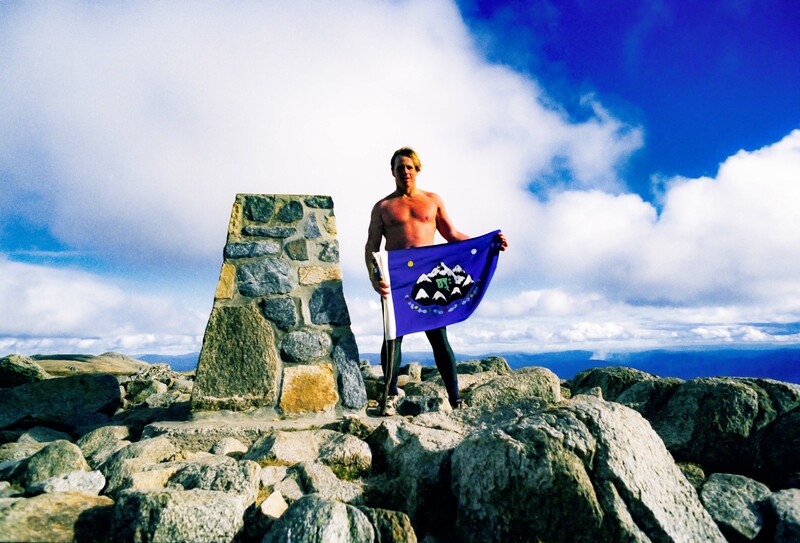 I did the long way up Kosciusko, on the advice from my friend, the extraordinary explorer Jon Muir. He suggested I climb Kosciusko from Kangaroo Flats, up through the eucalyptus forest. It was an excellent idea… Great alpine territory. It was about a 16 kilometer, 1800 meter ascent of Mount Kosciusko, my fifth of the Seven Summits. It took five hours exactly from the 15.5 km sign – and somewhat over four hours back. I walked down through the eucalyptus groves without using my headlamp. I slipped and sprained my ankle many times! 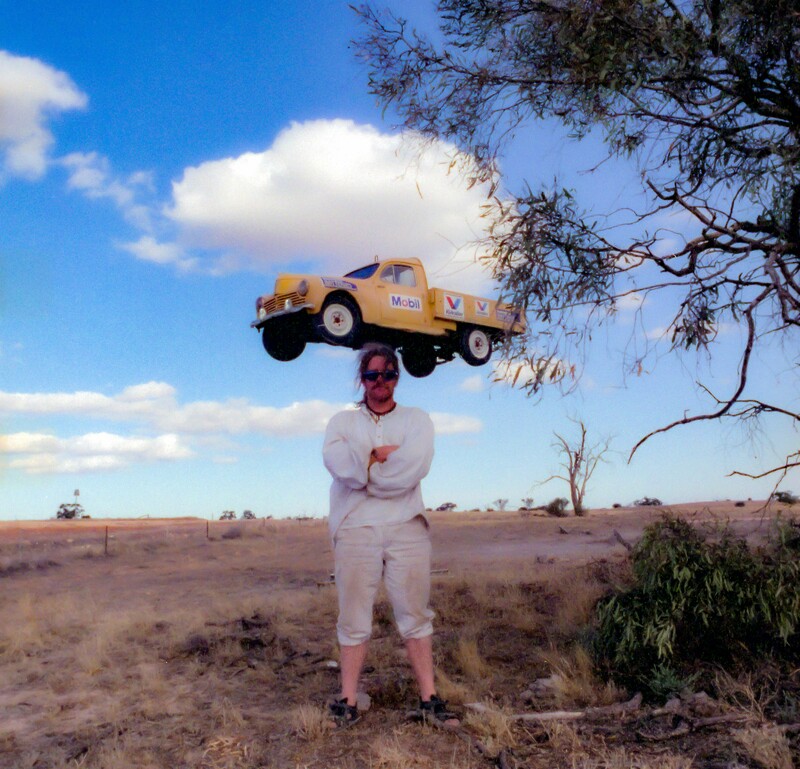 Jon Muir, 1996 Australia, New South Wales Province (State) – 35mm film Australian Jon Muir walked across Australia unassisted. Prior to climbing Kosciusko, I visited Jon Muir. We went to Mootwingie National Park and hunted wild goats on foot, staying under an unmarked overhang of rock with hand paintings on it. On the way back, we saw this truck on a stand and made this photo for fun. Among Jon’s many accomplishments is climbing Everest without Sherpa support, walking to the South Pole with Peter Hillary and walking solo and unassisted across Australia from north to south. He is the person who inspired me with the idea to use a water cart in the desert on my walks across the Atacama Desert and South American Altiplano.